We are proud that all of our apple sauces contain only one ingredient – the apples we grow right here on our farm. We believe that if you pick the apples at their peak of flavor, they can speak for themselves and they don’t need any other flavors or sweeteners to make good sauce. 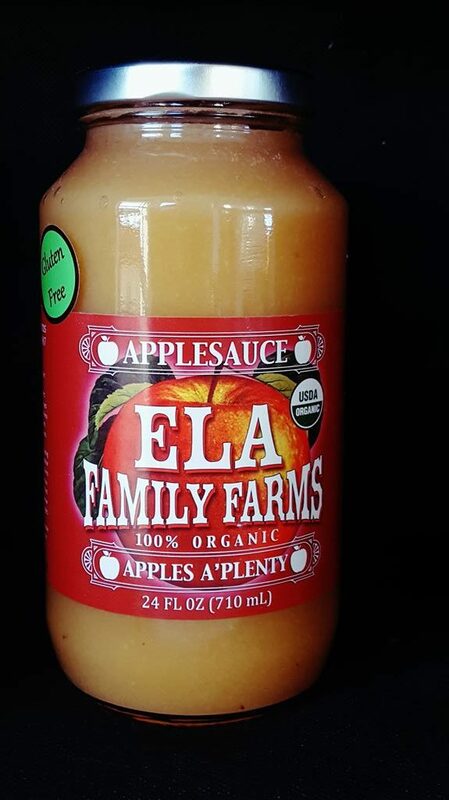 Our Apples Aplenty sauce is a blend of at least five of our apple varieties. Like a symphony, it contains sweet high notes and just enough of the subtle tart bass notes to have the flavor linger in your mouth. 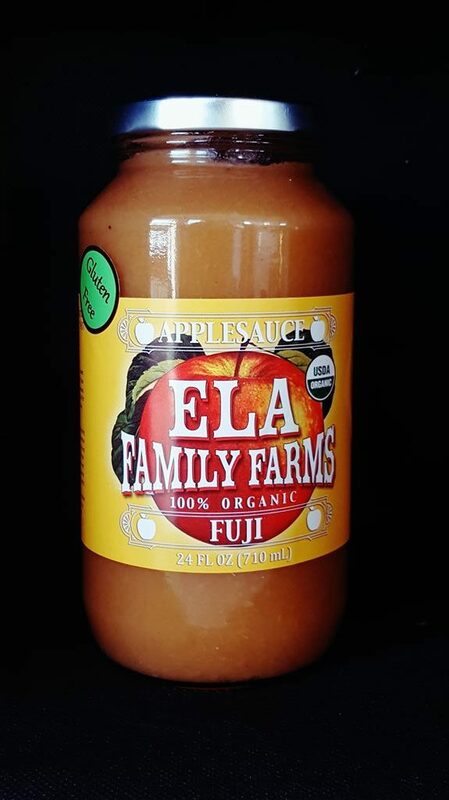 Our single variety sauces highlight the special flavor essences of the individual Fuji, Gala and Jonathan apples. From the sweetest apple to the more tart, each of these single variety sauces gives you the flavor variations that make eating fresh apples so much fun! Named “Best Sweet” apple sauce by Real Simple Magazine. A distinctive, rich flavor from a mix of five apple varieties. Each variety is picked at its peak of flavor and then blended with the other varieties to make a distinctive sweet, full taste balanced by a little zing. All our sauces use only our apples and we add nothing else – no sweeteners or other preservatives. Apples Aplenty represents the hot days of summer combined with the cool, frosty nights of fall to create a flavor that will make your mouth water. Jonathan is a delectable balance of sweet and tart flavors. Of the sauces we make Jonathan leans the most toward tart and lively. The cool western nights of fall give the Jonathan apple its distinctive rose hue. 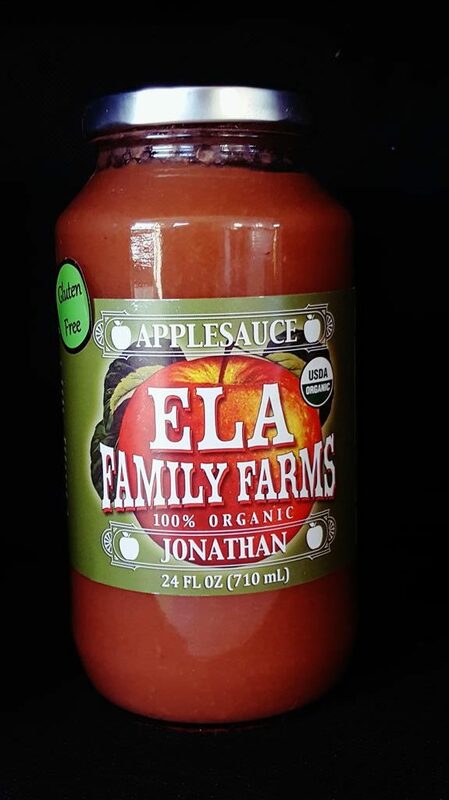 We make our Just Jonathan with the best-tasting certified organic apples—grown and nurtured by us, then carefully hand-picked at the peak of flavor on our family farm in Hotchkiss, Colorado.We only use our apples in our sauces and add nothing else – no sweeteners and no preservatives. Picked at its peak of flavor! 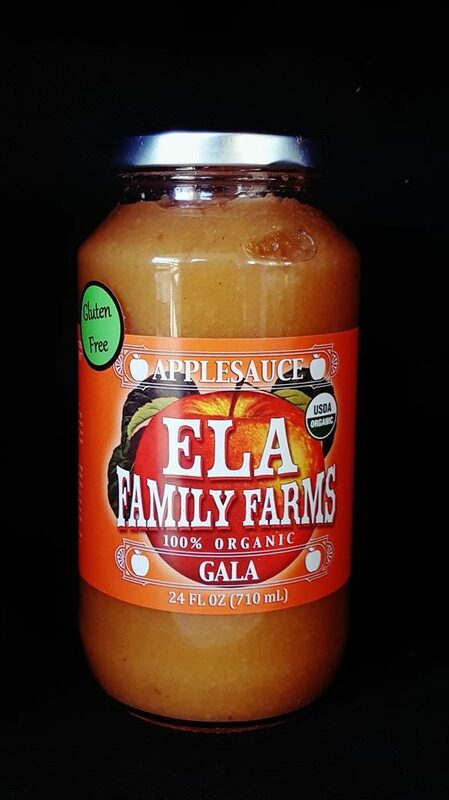 Sweet and fragrant, the Gala apple gives this sauce its incomparable complex fruit flavor. Just like fine wine, Gala Gala has many nuances—we love its deliciously subtle hints of banana and pineapple. We use only the apples we grow in our sauces and add nothing else. The Gala, a small apple with enormous flavor, thrives on our farm in western Colorado where the days are hot and bright and the mountain nights are cool. Full of crisp, sweet flavor! Fuji develops its full taste late in the fall. We make this applesauce late in the season when the Fuji has reached its perfect peak of flavor—often harvesting it just before a hard freeze. The Fuji loves our Indian summer days and chilly nights of western Colorado, and uses our full growing season to develop its luscious taste. We use only the apples we grow in our sauces and add nothing else!